The latest release from Puma’s top-tier Macht’s Mit Qualitat collection is the first such premium effort for this recently resurrected early ’90s runner. 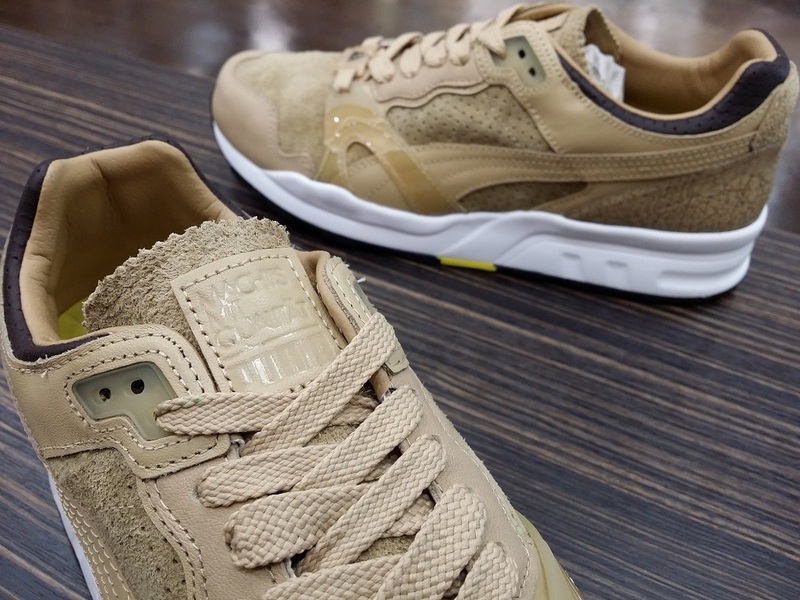 The Puma Trinomic XT2 Plus MMQ is an instant leader for this model’s most luxurious release to date, a mix of quality leather, and suede that extends its classy look by way of a subtle mix of brown tones that will be extremely easy to wear. Click in for a closer look including the crackly texture laid beneath the nearly transparent heel counter, then cop your MMQ Trinomic XT2s at select Puma retailers including Private_inc.